Home Iphone Tech News Tips What To Look For Before Buying a Refurbished iPhone? What To Look For Before Buying a Refurbished iPhone? Refurbished iphones are preferred by people because they are cheaper as compared to their brand-new counterparts. When the refurbished products are available in the market, they are made available for resale only after improving their quality and preparing them for the market. Refurbished iphones are available at fantastically attractive prices, and they are as good as new. Whether you wish to buy refurbished iPhone 5s or refurbished iPhone 7, everything is nowadays available online. Now, many of you might be thinking what is so good in buying refurbished iPhone? Refurbished iPhones come only after they have been totally revamped and their problem areas looked upon. All the faulty parts are replaced, and the good ones are installed so that the phone functions as good as the new one. The software for the refurbished phone is reliable and even if there are nay glitches they are made right before putting them in the market for sale. Developers handle all the glitches on their own and make sure that the software and hardware both are reliable. Software is updated and if there is are any scratches on the hardware or any fault then the changes are made in that too. Refurbished iPhones are made available to the buyers only after when the sellers make them go through a thorough screening test. Henceforth, refurbished products are more reliable and trustworthy. All you need is to be a smart buyer when it comes to buying any refurbished product. You need to buy it from a website that is reliable and has good online presence. And even if you are buying it from a local retailer then make sure that you do it only from someone who is present in the market since a very long time. After buying refurbished products too you will get the same accountability and advantage that you get upon buying a brand-new product. You can too consider buying a refurbished iPhone as these are totally reliable and function the same as the new ones do. Paying for totally brand-new phone is expensive and nowadays with rapid technological changes happening in the market everyone wishes to change the phone as soon as possible to enjoy the latest features in a phone. If it is a new phone then you might not change it as often as you can an old one. Battery Life: The battery life of an iPhone is not something everyone appreciates as it comparably lesser and goes off quickly in comparison to the phones of other brands in the market. So, if you are willing to buy a refurbished phone then make sure that the old battery has been changed with a new one as with time the battery of a phone gets weaker. Screen damage: Look closely for any kind of screen damage. 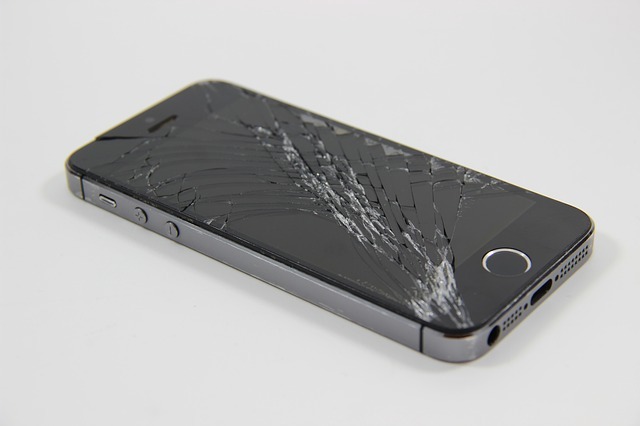 As iPhones have a very hard glass screen therefore it is quite tough to cause any damage to them but still if there isn’t any protector on the screen of the iPhone then it might cause a problem as that might become the reason for a few scratches onto the screen. A pretty hardware means people will be willing to pay a good amount for it no matter even if it is refurbished so make sure that there are no scratches on the outside because if there are then it might cause you trouble while reading from the screen. Memory Capacity: Look for a phone that offers you a good storage capacity. This is one of the most basic things that you need to consider before buying any iPhone. As the memory of an iPhone is not extendable therefore you need to make sure before buying the phone that the storage capacity that you are getting will meet your need in the future. So, have you made up your mind to buy a refurbished iPhone?